I have been attending a nursing institution. People working for nursing institutions do not seem to care much about “creating a space.” The Chiiki no Chanoma that Ms. Kawada runs is a good example of creating a space of belonging, but surprisingly, it seems the staff members of nursing institutions rarely visit the Living Room to learn about it. 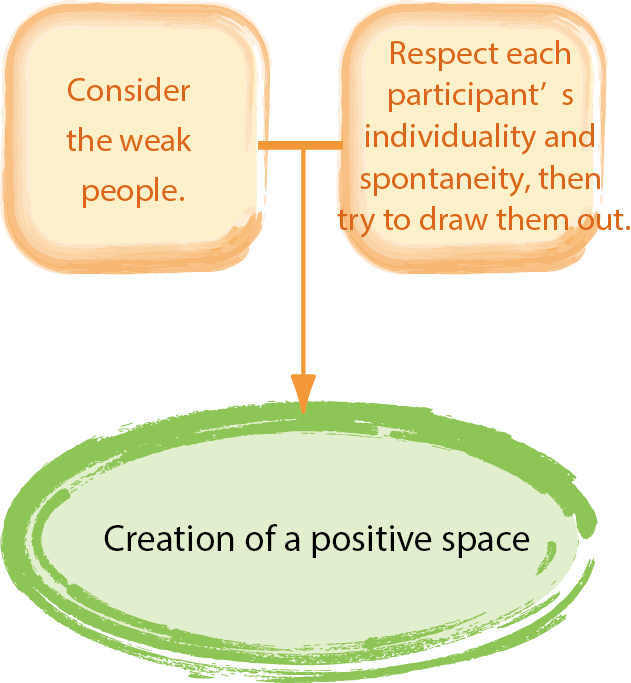 On the contrary, if no one cares, I think the number of anxious or restless people would increase, resulting in a “negative space full of anxiety.” In that sense, I think the minimum requirement to create a peaceful space is to have at least one person who is considerate of weak people.